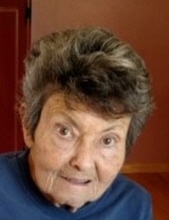 Carol Ann Pyke, 74, passed away on April 13, 2019 at the Colonnades Assisted Living Facility in Bay City, Michigan. Carol was born on April 22, 1944 in Wyandotte, Michigan. She grew-up in Gaylord, Michigan and moved to Arenac County in 1965 where she raised her family for the next 25 years. In 1990 she moved to Kissimmee, Florida where she lived for several years and then on to Davenport, Iowa. Upon retirement Carol moved to Sebring, Florida where she enjoyed the warm weather and spending time with friends and family. Due to a long illness Carol moved to Standish, Michigan in 2016 to live with and be cared for by family. Carol is survived by her Son, Gary (Lynn) Pyke of Bessemer, Michigan and a Daughter, Chris (Dan) Senske of Standish, Michigan. She is also survived by a Granddaughter, Hannah (Jordan Stodolak) Senske of Standish, Michigan, one Sister, Phyllis Coleman of Glenwood Springs, Colorado and two Brothers, Gerald Petraska of Sebring, Florida and Robert Cox of Yucca Valley, California. Carol was preceded in death by a Son, David Pyke. According to Carol’s wishes cremation has taken place and there will be no memorial service. Her ashes will be interred at Evergreen Hill Cemetery in Vanderbilt, Michigan. Funeral arrangements have been entrusted to the Lee Ramsay Funeral Home – STANDISH CHAPEL, Standish, Michigan. To send flowers or a remembrance gift to the family of Carol Ann Pyke, please visit our Tribute Store. "Email Address" would like to share the life celebration of Carol Ann Pyke. Click on the "link" to go to share a favorite memory or leave a condolence message for the family.